If there’s one thing that can spoil a family vacation quicker than a dropped ice cream cone, it’s itchy bug bites. If you suspect insects and mosquitos are going to be a problem on your next vacation, you’ll want to make sure the family is fully protected. Traditional bug repellents contain DEET, a chemical that’s largely considered to be the most effective mosquito repellent. The American Academy of Pediatrics recommends it as safe for babies as young as two months. However, in an age when we’re all trying to be more mindful of what we put in our bodies and onto our skin, it’s good to know that you can also keep bugs at bay with a natural spray. For babies, look for a repellent containing Picaridin, an odorless synthetic ingredient that is modelled after a compound found naturally in the black pepper plant. Just make sure to check the percentage: a 5 percent Picaridin spray won’t protect you, but a 20 percent Picaridin spray will. There are also a number of completely natural sprays on the market made from essential oils that keep mosquitos and bugs at a distance because these mini monsters don’t like landing on oily surfaces. They might not be quite as effective, but they’re safe to use and a great option for people with sensitive skin in particular. If in doubt, board certified dermatologist Dr. Meghan Freely says the CDC website outlines what ingredients work in natural repellents. If you’re still confused or if you’re traveling to a place where mosquito-born illnesses such as malaria and Dengue fever are a problem, then Dr. Freely recommends meeting with a board-certified physician before travel. Made in France, Para’kito specializes in natural insect repellent products. The main ingredient is oil of lemon eucalyptus—the natural kind rather than the synthetic—meaning that it’s safe for babies as well as everyone else in the family. Marketing itself as a non-toxic bug repellent that’s safe for both parents and kids, California Baby Natural Bug Spray contains pure essential oils of citronella and lemongrass, which smell good to us but drive bugs away. The award-winning Incognito insect repellent contains PMD, an ingredient that comes recommended by Public Health England. The non-greasy spray has been clinically tested to provide 100 percent protection against Zika, Dengue and malaria-carrying mosquitos, as well as midges, ticks and other pests. Containing 20 percent Picaridin, the family-friendly Sawyer Picaridin fragrance-free bug lotion promises to repel even the hungriest of insects, including biting flies, gnats, chiggers and sand flies, as well as disease-carrying mosquitos and ticks. 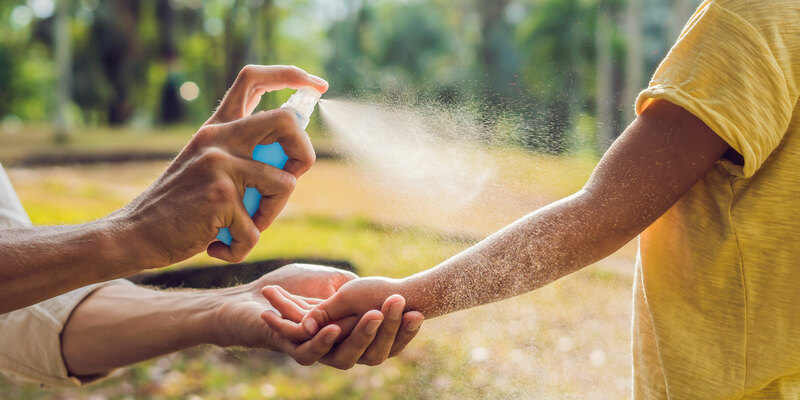 Containing oil of lemon eucalyptus, Cutter Lemon spray repels bugs and mosquitos for up to six hours—including those that may transmit illnesses such as Zika and Dengue. This is a good option for children over the age of 3. 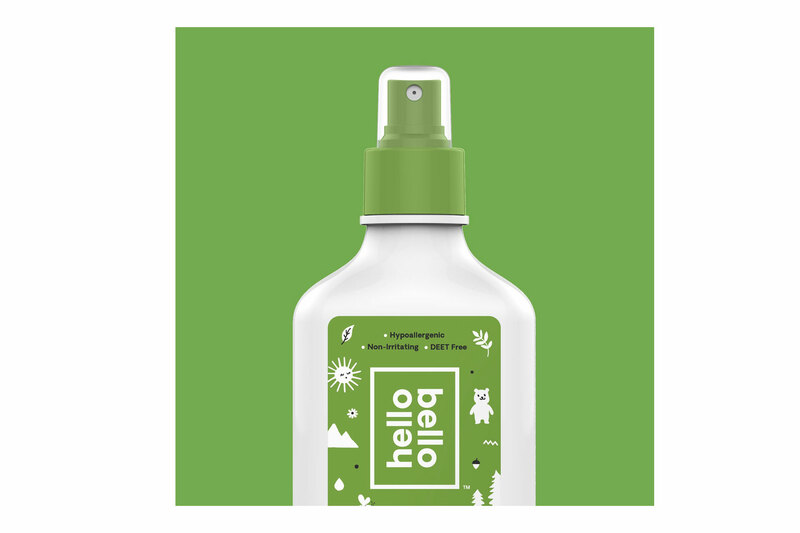 Hello Bello Organic Bug Spray is made with natural essential oils including lemongrass oil and citronella oil and is said to be lab-tested to repel mosquitos for up to six hours. It smells nice, too! If you’re looking for an award-winning repellent, take a look at this Repel spray that received a rating of 90 out of 100 from Consumer Reports for its protection against mosquitos and ticks. The non-greasy bug spray contains oil of lemon eucalyptus and is said to protect for up to six hours. This 20 percent Picaridin spray from Natrapel 8 offers long-lasting protection against mosquitos, ticks, biting flies, gnats, sand flies and other pesky insects. It’s been named by Consumer Reports as one of the three most effective bug repellents on the market and comes recommended by the CDC. The DEET-free formula in Kinven Mosquito Repellent Spray keeps bugs at bay whether you’re at home in the garden or camping in the deep dark woods. Made from organic ingredients including oils of peppermint, citronella, geranium, rosemary and clove, it repels insects for up to four hours. 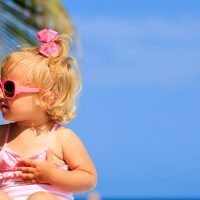 Katja Gaskell is a travel writer and family travel blogger who recently returned to live in London after 12 years abroad in Australia, India and Mexico. She has written guidebooks for Lonely Planet, reviewed hotels for the British boutique hotel site Mr & Mrs Smith, and has contributed articles to publications including BBC Food, The Australian, Lonely Planet online and more. She’s also the European Editor of Twist Travel Magazine. Katja is a firm believer that you can —and should!—travel with your kids everywhere. Find Katja on her own site, Globetotting.com.